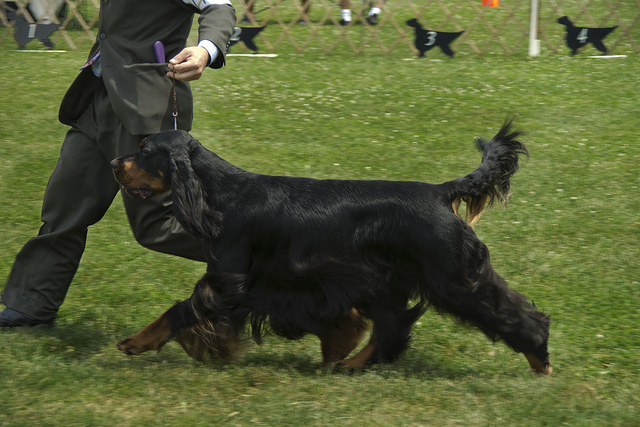 When it comes to mentoring new Gordon Setter exhibitors I’m asking all experienced breeder/exhibitors to join us in our “it takes a village” approach on this blog. For this article I’ve started a list of video links, books, DVD’s and articles that I’ve located related to canine structure and gait. These are all-breed reference materials, not Gordon Setter specific, hopefully we will have breed specific material to add to this site soon. What is needed from you, “the village”, would be your comments regarding whether you have read or viewed any of these references and if you found them helpful or maybe not so good. This way our learners will have your experience and advice to guide them. Also, if you can add any items to this list I hope you will share those. Please add your insight by posting in the comment section that follows the article. Online Videos Simply move your cursor to the title and click to go directly to the item. Thank you to Barbara Burns for reminding us to add the link to the Gordon Setter video from the AKC website. It does include a brief shot of a Gordon Setter moving properly on lead.